Eye Exam in Hollywood | Visionary Eyecare's Blog: "The Eye Journal"
to check out more information on Eye Health! Get YOUR Vision and Eye Health Questions Answered!! Why do I now have problems reading up close when I turned 40?? What are those black floating spots in my vision?? I need bifocals….can I wear contact lenses?? How often should I get my eye exam if I feel my vision has not changed?? What is a Retinal Detachment?? My child passed the Pediatrician and/or School Vision Screening – does he/she still need an eye examination if he/she is not complaining of vision problems?? 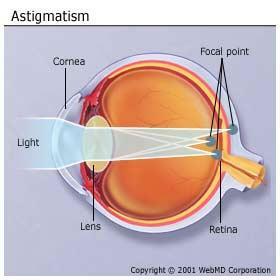 I have astigmatism….can I wear contact lenses?? Well, here is YOUR chance to get all of YOUR questions answered by Dr Bearden and the Visionary Eyecare Doctors – Right HERE on Our BLOG!! Just leave a comment (Below this post – click on “Comments”) with your burning Vision and Eye Health question(s) and we will write future posts based on the questions that you ask…. Check back often to see if your question has been answered…..OR……… subscribe to our blog via email (or RSS feed) and get all updates of new BLOG posts sent to you automatically. CLICK HERE to subscribe to our Blog Via Email. You are also welcome to visit our Vision Library on our Visionary Eyecare Website for LOTS of Vision and Eye Health Educational Information!! CLICK HERE to go to our Vision Library…. When Should Your Child Have His or Her First Eye Exam? ?